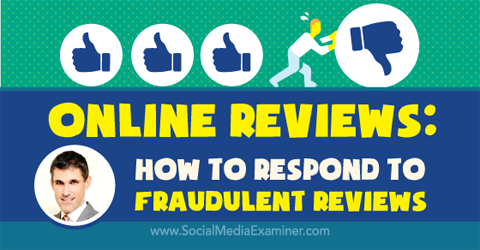 Do people review your business online? Ever receive negative or fraudulent reviews? To discover what to do when you receive a review that’s not what you were expecting, I interview Dan Lemin. In this episode I interview Daniel Lemin, the founder of One Good Brand. He is also a strategist for Convince & Convert, and author of the brand-new book, Manipurated. 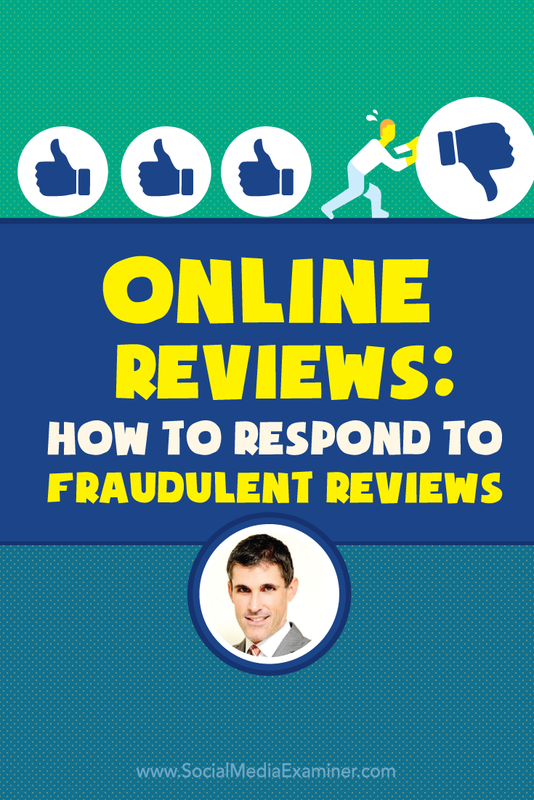 Dan will explore online reviews and how to deal with bad and fraudulent reviews. You’ll discover why online reviews are so important. Listen as Dan Lemin shares what marketers need to know about responding to fraudulent reviews. Dan started his online career with Google’s corporate marketing team and saw the emergence of black hat SEO (search engine optimization). He explains the distinction between white hat (good) and black hat (bad) SEO, and talks about link farms as an example of black hat tactics. Google came to love Yelp’s fresh content and Dan says that’s how the rating and review platforms attracted shadowy SEO characters. They saw the opportunity to continue “tricking” consumers through new platforms. 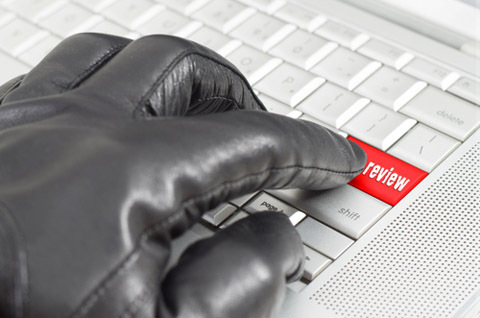 Black hat tactics have intersected with the online reviews space. Image: Shutterstock. Listen to the show to discover why the owners of small- and medium-sized businesses need to know the dynamics of the SEO industry. Dan shares that nearly 90% of consumers say they trust reviews as much as they trust their friends and family. Since so many people make decisions based on online reviews, the vast majority of a business’s prospective customers are filtering through review sites. Since Google favors this type of content, reviews are a new SEO tactic, and that’s why site owners are adding some type of rating and review component. For instance, a lot of hospitality businesses like Starwood Hotels have added reviews to their websites. He says one review will not necessarily make or break a business, but cautions that the presence of the review industry can make or break small businesses, because they don’t have all the tools and techniques a large company like Chipotle might have. When asked which review sites matter most, Dan explains his research found it really depends on the business category. For example, Gondola Adventures in Newport Beach, which is in a super-specialized industry, says Yelp matters, but TripAdvisor is even more important. 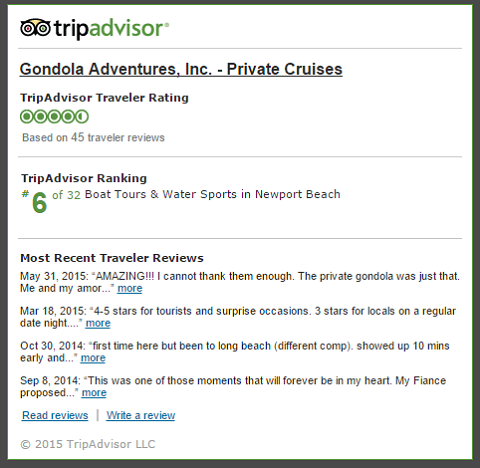 Gondola Adventures puts more value in reviews from Trip Advisor than from Yelp. Dan says companies can track reviews manually by going to each review site, but it’s very time-consuming. To help, there’s a whole cottage industry of companies such as ReviewTrackers and ReviewPush that do review tracking for businesses. Listen to the show to learn how much traffic Yelp gets from Google. Dan shares that there are different layers to the purpose of fake reviews. He first discusses fake positive reviews and says that several weeks ago, Amazon filed an unprecedented lawsuit against 1,100 people. They accused anonymous people on Fiverr of selling reviews for profit on Amazon. For his book, Dan interviewed a young lady who writes reviews for a living, and says it’s very difficult to distinguish her reviews from legitimate ones. Dan discusses fake reviews that are created to injure the reputation of a business. Dan also shares an example of another type of fake review, a scam that targeted wedding photographers in the Bay Area. Fake reviews have many purposes. Image: Shutterstock. A few weeks later, the photographer would receive or be threatened with a fake review, so they would they call this person to make it go away–for a price. Listen to the show to hear about other scenarios Dan doesn’t necessarily believe to be true. The first thing Dan tells businesses is “don’t panic” because a negative review, even if it’s fake, will not take your business down. He says what you can do about a bad or fraudulent review depends on the platform. Dan shares that while all review sites have tools available for remediation, they (particularly Yelp) are bad at fulfilling the promise of help. His book, Manipurated, explains how to get the attention of the people who address those help requests and how to make the most of your interaction with them. Dan tells listeners why he believes you should make your presence known every time a review happens, even if you think it’s negative. He cautions that one of the hardest lessons people learn is how to be angry in the context of a public forum. Dan talks about how Wade Lombard, who runs a moving company in Austin, Texas, developed a good response method called, “stop, drop and roll.” Dan recommends business owners use this method in heated moments. He believes how you respond says a lot to a potential customer about what they might expect from you as a business owner. Listen to the show to discover what happened after someone left a 1-star review for my second book, Launch. Do you ever go to online websites and see countdown clocks? After listening to a podcast that shared a number of split tests on how countdown timers affected conversion, I started experimenting and discovered they do make a difference. After doing a lot of research I found this cool website called CountdownMonkey.com, which allows you to create different kinds of timers (scoreboard, rolling, etc.). You can even control the special effects, colors and font sizes. Countdown Monkey allows you to create customized countdown timers for your website. Countdown Monkey comes with a WordPress short code, so you can easily add it into your sidebar widgets and sales pages. Another cool feature lets you hide the counter once the sale or event time is up. For example, if you set a sale to end at midnight, the counter will automatically disappear from your page at that time. As of this recording, Countdown Monkey is $79/year. The sense of urgency readers get from the countdown clock when a sale is coming to an end may lead to extra sales, so it may pay for itself. To see it in action, take a look at the Social Media Marketing World page. Check it out at CountdownMonkey.com. Listen to the show to learn more and let us know how Countdown Monkey works for you. If you are on the fence about attending, the main reason to attend is to make connections with people who are just like you. These relationships could lead to future opportunities for your business. You’ll have a chance to shake hands with people like Guy Kawasaki, Mari Smith, Chris Brogan, Jay Baer, Ann Handley, Michael Hyatt, Michael Port, Amy Porterfield, Joe Pulizzi, Darren Rowse, Mark Schaefer, Mitch Joel and the list goes on and on. We have an incredible line-up of the top social media pros in the world. Hundreds of people have already purchased their tickets and have committed to coming to this conference. 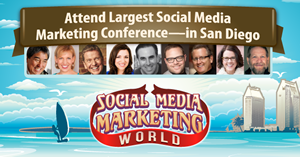 If you’ve heard about Social Media Marketing World, and always wanted to go and connect with the leading thought leaders and soak in a lot of knowledge, visit SMMW16.com. Check it out, if only to see how we do our countdown timer. Scroll down and you’ll see it in the sidebar or check it out on the registration page. Connect with Dan on his website. Check out One Good Brand and Convince & Convert. 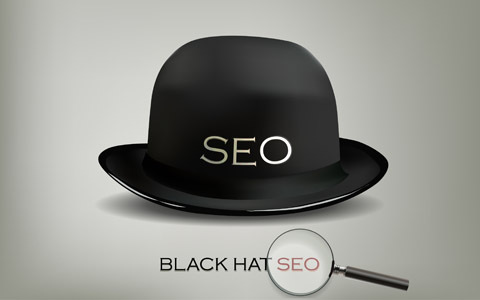 Learn more about black hat SEO and white hat SEO. Explore Google’s concept of freshness. Check out Yelp and TripAdvisor. Read why customers trust online reviews. Explore reviews on Gondola Adventures and Starwood Hotels. Check out ReviewTrackers and ReviewPush. Read about Amazon’s lawsuit regarding people being paid for fake reviews on Fiverr. Explore Wade Lombard‘s “stop, drop and roll” concept for responding to reviews. What do you think? What are your thoughts on fraudulent online reviews? Please leave your comments below. Black hat SEO photo and Fake review photo from Shutterstock. 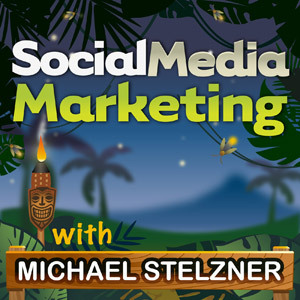 Dan Lemin talks with Michael Stelzner about fraudulent online reviews.